A Lady Renaissance Costume including a – Ideal for any Medieval themed Fancy Dress party! 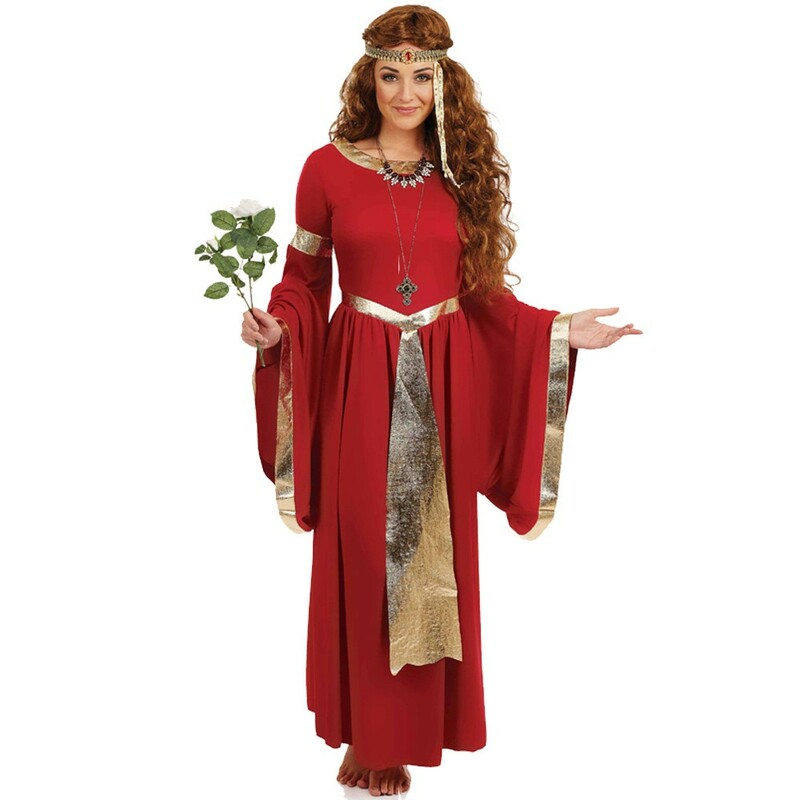 Travel back in time with this beautiful Lady Renaissance Costume. This stunning Lady Renaissance Costume comes complete including a Dress and Headband. This long red Dress features exaggerated Bell sleeves for this themed Lady Renaissance Costume. The Dress also features a ruched waistband for a flattering fit. To complete this Dress is the featured gold trim detail around the neckline, arms, sleeve cuffs, and a mock belt with sash for this truly elegant look. To complete Lady Renaissance Costume is the ornate Headband with red jewel detail, to make this Lady Renaissance Costume stand out amongst the crowds. Perfect for a Historical theme, TV & Film theme, Book Week, or any fancy dress occasion, you’ll be sure to be in the spotlight with this fantastic Lady Renaissance Costume. Available in sizes Small, Medium, Large, XL, and XXL. A Lady Renaissance Costume including a Dress and Headband.